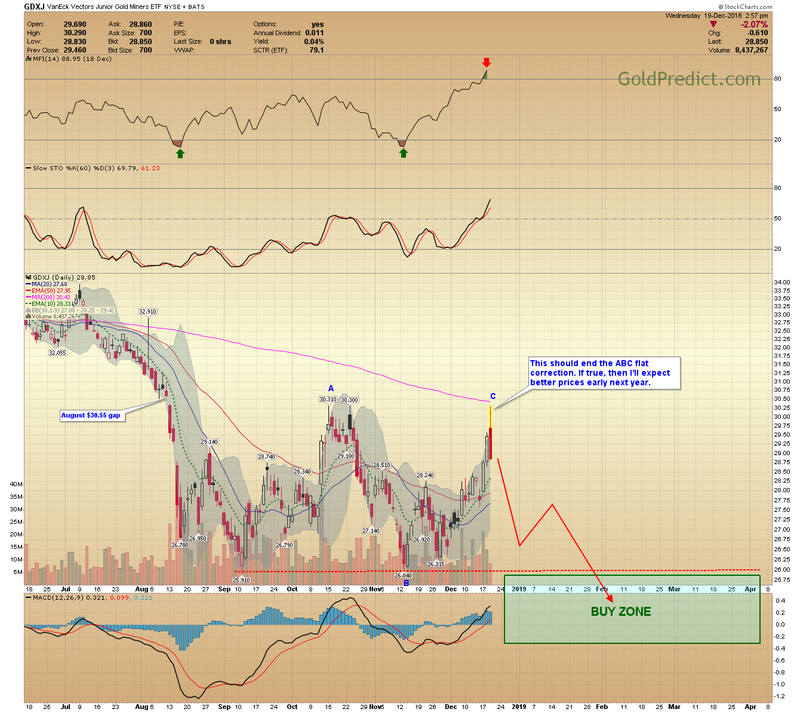 -GDX- Prices are overbought, at multiple resistance levels and reversing. The conventional signs point to a top. If confirmed, I’ll expect a decline to fresh lows and a sustainable bottom in early 2019. -GDXJ- This should end the ABC flat correction. If true, then I’ll expect better prices early next year. Markets have been finicky. Just when something seems like a sure thing – it reverses. So it’s important not to get too carried away. Like the weather, it can change in an instant. Nevertheless, I’m net-short again. 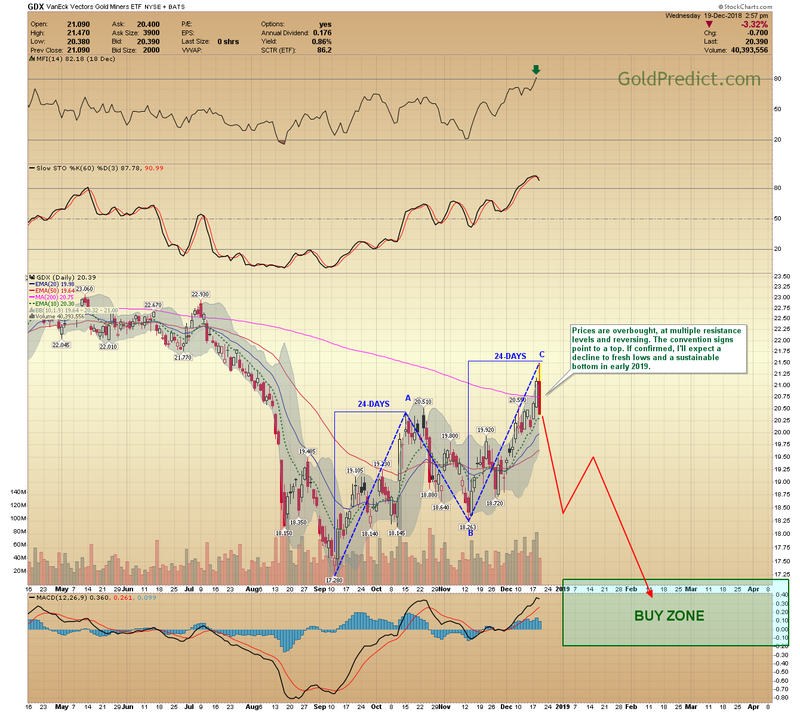 AG is the editor-in-chief of the Gold Predict report and creator of the Gold Predict Buy Zone indicators. His members receive frequent reports and timely updates concerning gold and silver as well as the various mining sectors. He is a technician by trade who prides himself on making his analysis transparent and easy to understand through the use of creative and adaptive charting techniques. You can reach AG at info@GoldPredict.com.